Road Trip’s first recording since Matt left the band and Jason joined in January. 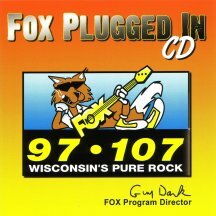 We were selected as one of 13 Wisconsin bands to appear on this compilation CD. We submitted 2 songs, Marc (producer and owner of Rock Garden Studio) thought this one would fit better with the styles of the other bands on the comp CD. Did it live, couple takes… We didn’t really have an ending so the recording just has us jamming at the end and we kinda ended together, so there you go – DONE! That’s a take!